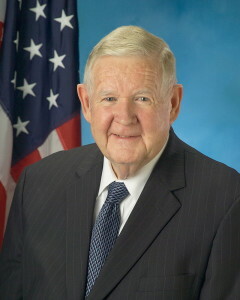 Murtha joined the U.S. Marine Corps in 1952, served as a drill instructor, and was subsequently commissioned an officer. A member of the Marine Corps Reserve during the Vietnam War, Murtha volunteered to serve in Vietnam from 1966 to 1967 and was highly decorated. Elected to Congress from Pennsylvania’s 12th congressional district in 1974, he earned a reputation as a populist Democrat. He came to national prominence on November 17, 2005 when he called for U.S. withdrawal from the Iraq war, which President George W. Bush had begun in 2003. Within a short time, Murtha became the most vocal and visible critic of the war in Congress.